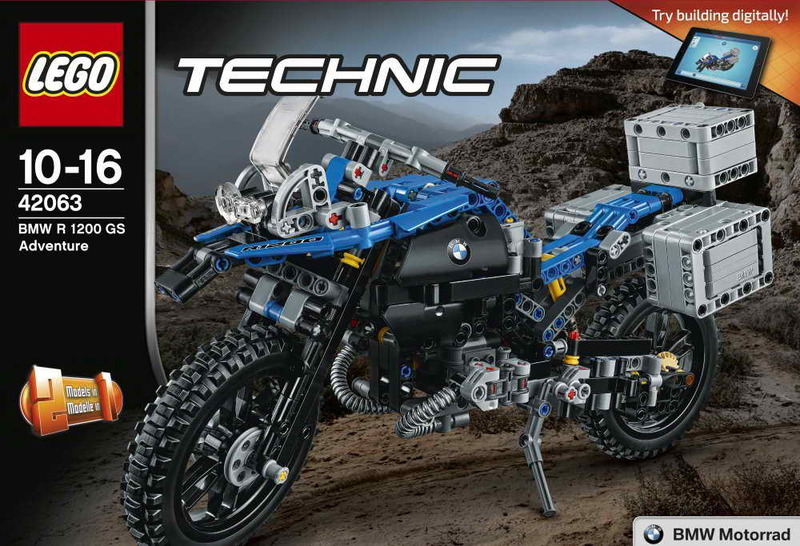 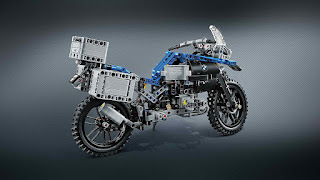 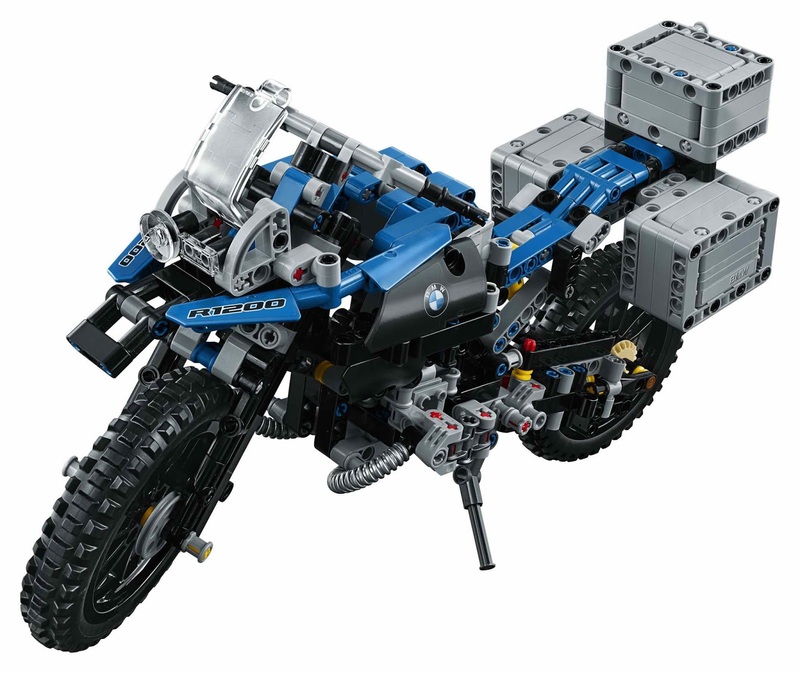 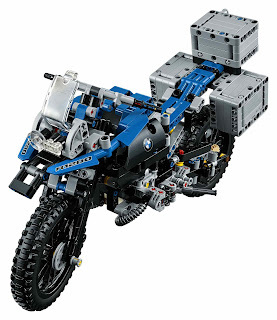 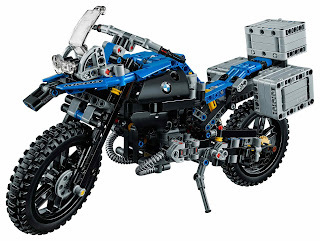 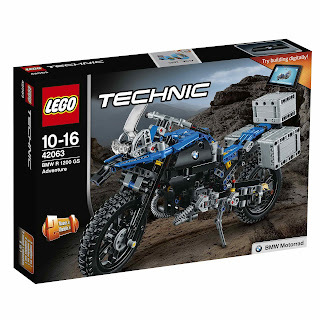 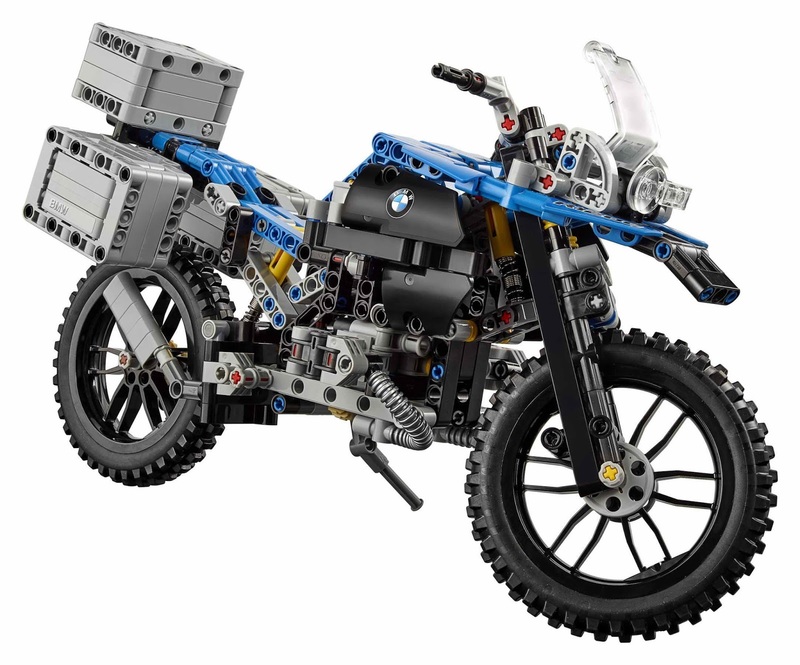 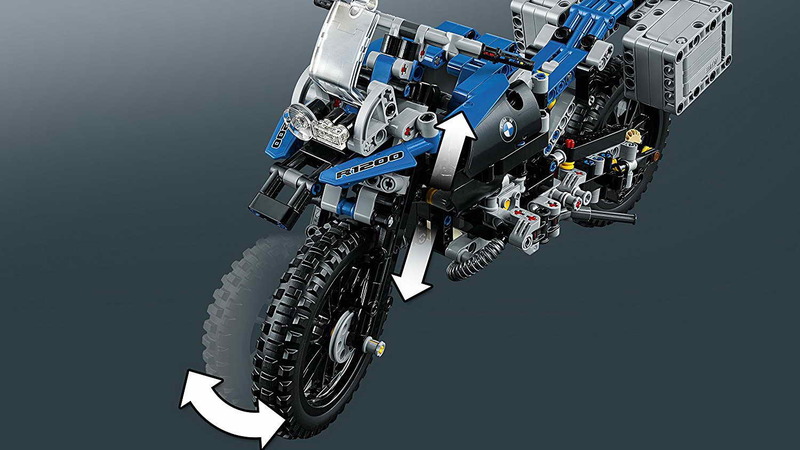 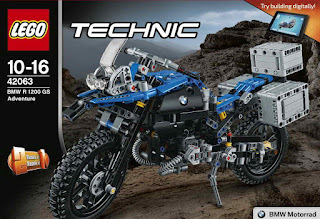 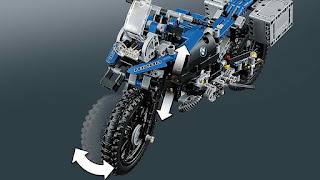 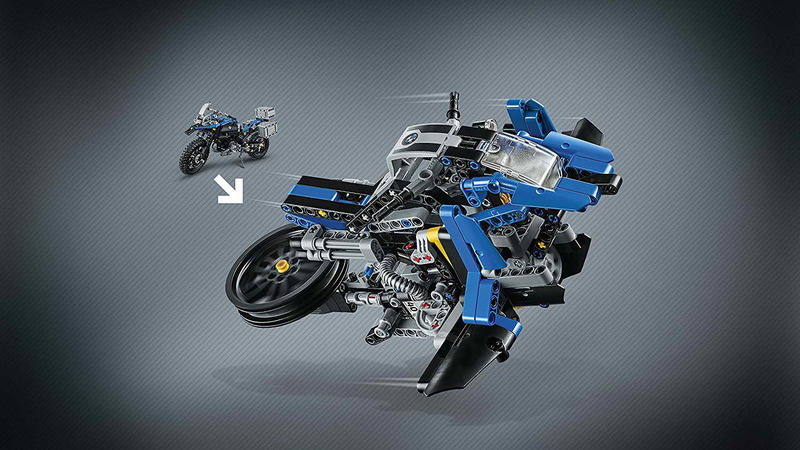 main model is a BMW R 1200 GS adventure. 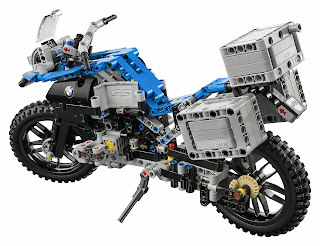 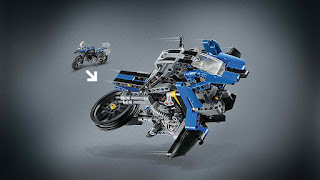 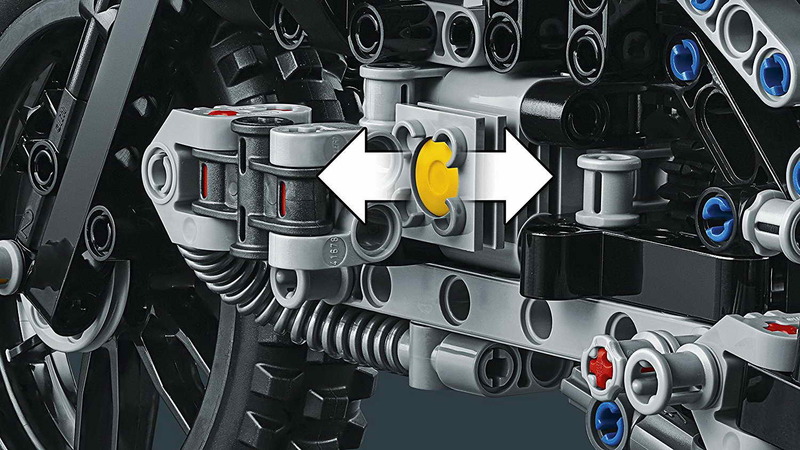 building alternative included a unique BMW concept model. 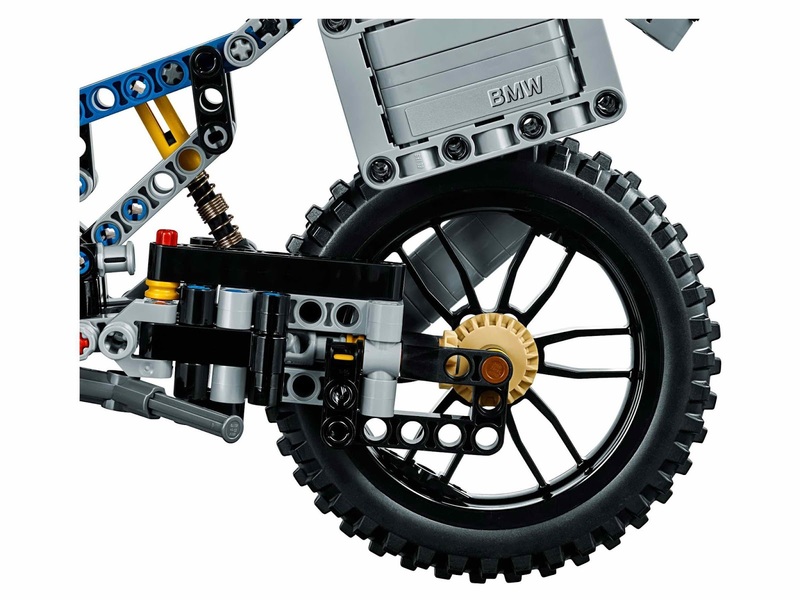 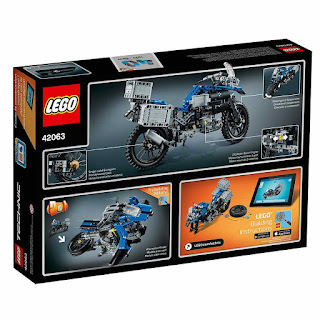 the bike come with black spoke wheels, all terrain tires, a windshield, a detailed dashboard and exhaust, a workable steering, a stabilizable telelever front suspension and rear suspension, a 2 cylinder boxer engine with movable pistons, a visible shaft drive, an openable top case, luggage panniers and a kickstand.